I tussled with the glass door leading to the lobby of my apartment building, barely creating an adequate gap to slide my body through with grocery bags hanging off my hands. I cringed at the heavy thud as it closed behind me. I turned around, and through the window caught the unsympathetic glare of an older woman; with unburdened hands, she threw the door open with astonishing strength, a light purse slung over her shoulder, huffing at an insolence that existed only in her mind. She glared at me as we waited for the elevator, ignoring the obvious fact that my hands were laden with bags, and one of them was wrapped in a brace, making it impossible for me to hold the door for her even if I had been aware of her presence; never mind that the door was more than half my weight, and my flimsy wrists might have snapped beneath its raging momentum if I reached out to stop it from closing before she even arrived on the threshold. She was unwilling to perceive the impossibility of her expectation. I shrunk under her gaze, my face flushing with guilt; it was soon replaced by indignation. I had no reason to feel guilty about my condition. Her indelicate assumption was her own deficiency, and had nothing to do with me. This is the base opinion and typical judgement of arthritis, the enduring myth that people beneath a certain age can’t possibly suffer from a disease believed to be reserved for the elderly. I am young, sometimes appearing younger than my years; the hypercritical looks that cross the faces of countless people alludes to the same unspoken question: how could I, or anyone younger, possibly be ill or incapacitated? This is the curse of the invisible disease hidden beneath the husks of our skin that people can’t, or perhaps, won’t see. The imperceptible traits of RA, and many other diseases, seem to create a false element in our society. Every day I hear about the impact from those who suffer from an “invisible illness”, and the judgement they incur from the world around them. I have learned to free myself from the ignorance of others by understanding it is their own shortcomings that are behind their seemingly uncouth behaviour; then again, who am I to judge why they act as they do? They might have their own invisible afflictions that cloud their judgement. Obtuseness is a disease for which there is no cure. Or treatment, I suppose. Reminds me of the saying: There are none so blind as those who will not see. 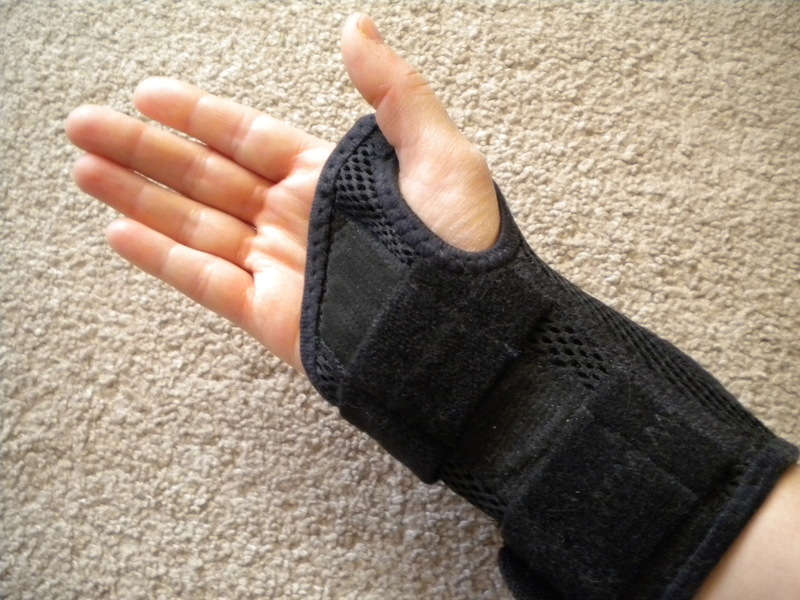 Hope your wrist improves soon! I feel for you. My wife get glares sometimes. Her muscular dystrophy is not easily noticed, but she lacks strength to do some things that the rest of us take for granted…holding a door, especially one on a spring bar, is one of them.